Former Abia Warriors playmaker, Michael Ibe has joined Jordan Division 1 Club, Al-Karmel SC after spending three years with Nigeria’s 2017 Aiteo Cup Champions, Akwa United. Ibe is the fifth player leaving the Promise Keepers after the 2018 Nigeria Profesional League season for action in foreign leagues after the likes of Gabriel Okechukwu, Ariwachukwu Emmanuel, Ifeanyi Ifeanyi, and Ezekiel Bassey joined Wydad Casablanca, Al-Hilal Omdurman, Es Setif, and Al-Masry Sc respectively. 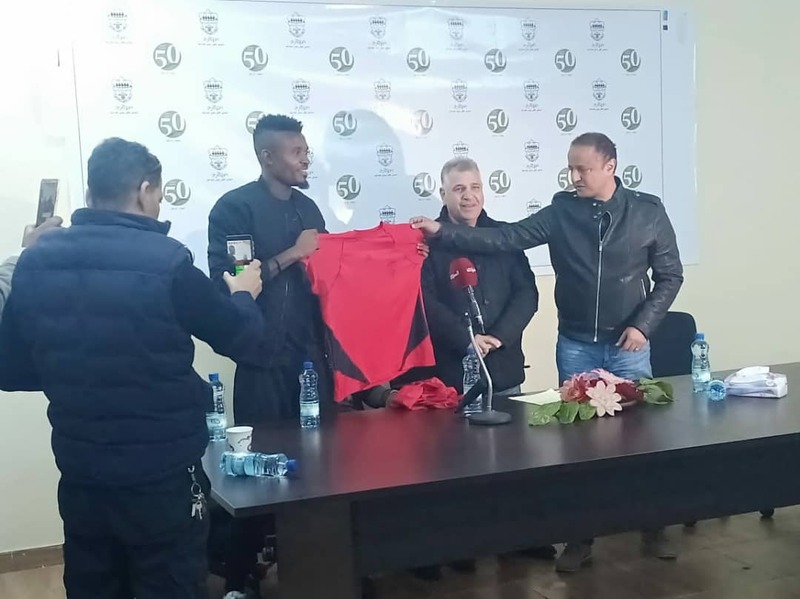 The deal will see the 23-year-old spend two years at the Municipal Stadium outfit in Irbid. During his last stint at Akwa, Michael Ibe was awarded Player of the Month in March by Dana Air after recording the club’s first hattrick at the continent in a 3-3 draw against Al-hilal of Sudan in a CAF Confederations Cup fixture. The U23 Nigeria International will also be remembered for his last competitive goal in Nigeria during Akwa’s 2018 Aiteo Cup quarterfinal encounter against Enugu Rangers where he scored a stunning free kick. Al-Karmel SC will expect Ibe to make an immediate impact whenever he makes his debut as they kickstart their 2018/2019 season on the 11th of February against Al-Yarmouk.